Whether you’re just starting out or you’re a e-learning design veteran, there comes a moment in everyone’s career where it’s just time for a new challenge. That’s why we’ve compiled this collection of tips and resources for e-learning pros who are looking for new roles. And this article is not just for folks who are looking for jobs in-house—we’ve got great resources for freelancers, too! Check out What to Include in an E-Learning Portfolio - A portfolio is an invaluable tool for showcasing your work to potential clients. Read 3 No-Fail Strategies for Building Your E-Learning Heroes Brand - Here are some helpful tips on the best ways to earn visibility by sharing your expertise and work on E-Learning Heroes. Get social with How to Build an Awesome Personal E-Learning Brand on Social Media - Social media is a great way to build your network and meet potential hiring managers or clients. But how do you know what type of engagement on social media is worth your while? Check out these tips from Trina on growing your network and name recognition through social media. E-Learning Heroes Jobs Hub - Yep, that’s right! There’s a jobs hub right here on E-Learning Heroes. It’s chockfull of listings for jobs, contracts/gigs, and even volunteer opportunities. E-Learning Guild Jobs Board - The E-Learning Guild is a great place to look for developer and management roles. LinkedIn - No matter what kind of job you’re looking for, you’re sure to find some leads on LinkedIn. Make sure to use the advanced search features to help narrow the list down to stuff that’s really right for you. TD Job Bank - If your job search includes roles in training and development in general, be sure to dig into the listings on the Association for Training & Development’s site. 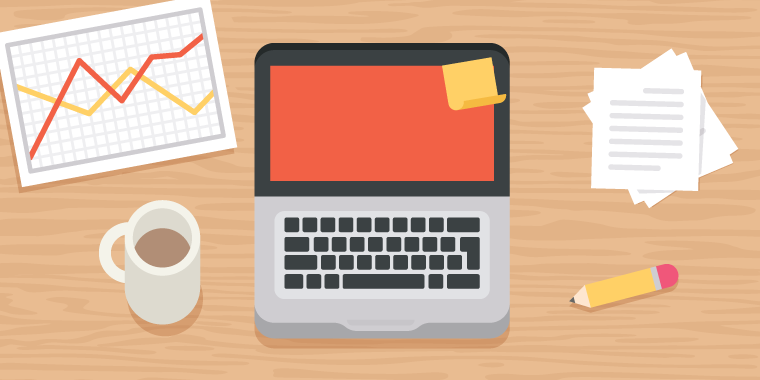 Tips on Succeeding as a Freelance E-Learning Developer - Here’s a rich, informative series of articles from the pros on E-Learning Heroes that covers every aspect of building a freelance e-learning career. You’ll learn about presenting yourself professionally, working with clients, and managing contracts effectively. How to Build an E-Learning Portfolio One Challenge at a Time - In this article, e-learning pro Anne Seller shares her insights on building a strong portfolio through the E-Learning Challenges. 6 Questions to Ask Yourself When You’re Talking with a Potential E-Learning Client - Experienced freelance designer Jackie Van Nice shares the tried-and-true techniques she uses to evaluate potential clients and make sure they’re a good fit for her skills. Do you have tips on how you’ve grown your career, earned new opportunities, or achieved other professional milestones? Share them in the comments! We’d love to hear about them. Every semester I have a graduate intern who works with me. I am going to share this with them because they are usually only a semester or 2 from finishing their program and are starting to think about full time jobs. Great article and great tips.